In ovenproof 4-quart Dutch oven, mix all ingredients except potatoes and mushrooms. Cover and bake 2 hours, stirring once. Stir in potatoes and mushrooms. 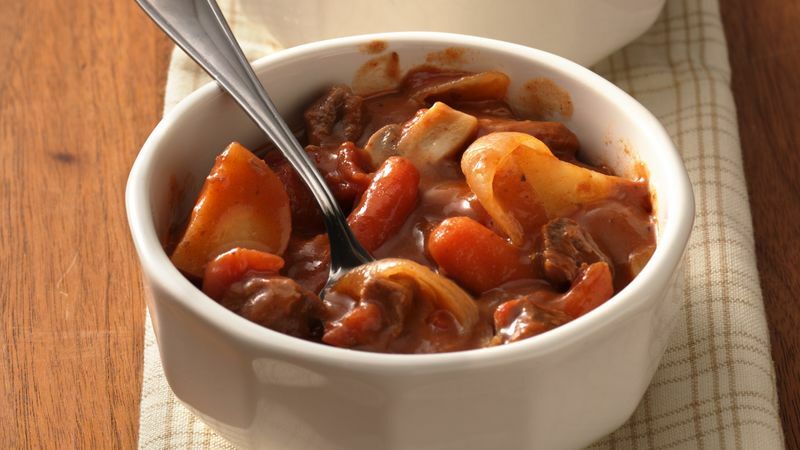 Cover and bake 1 hour to 1 hour 30 minutes longer or until beef and vegetables are tender.